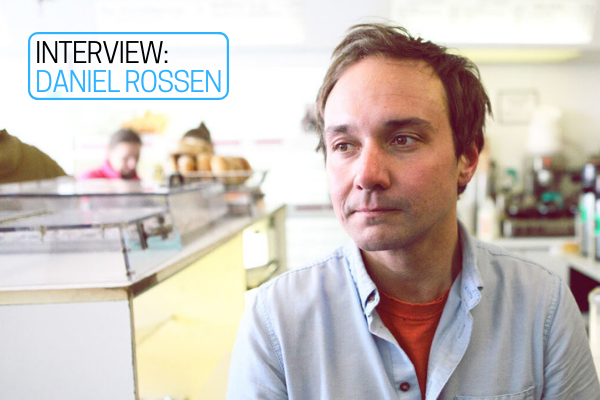 Multitalented songwriter and instrumentalist Daniel Rossen is a member of Grizzly Bear and Department of Eagles, and works as a solo artist as well. KGNU's Indra Raj speaks with Daniel ahead of a benefit concert in Santa Fe on September 14th, 2018 which benefits the Santa Fe NOW Action Network, an organization that undertakes charitable work in areas of specific urgency to women in New Mexico, such as reproductive justice, human trafficking, wage equity, immigration, gender identity, domestic and sexual violence, and marriage equality. The concert is presented by NOISE FOR NOW, a national initiative that enables performers to connect with, and financially support, grassroots organizations that are dedicated to empowering women and protecting women’s health and abortion rights. Indra: I read that you are relatively new to the Santa Fe area and that you live there now, is that right? Daniel: Yeah, my wife grew up there and we moved there a couple years ago. It was time to get out the city for a lot of people, and we first moved to the middle of nowhere in upstate New York where a lot of that EP [Silent Hour/Golden Mile] was written. Eventually we wanted to move somewhere beautiful that was a halfway point between city life and middle of nowhere, and Santa Fe is definitely that. It's beautiful and I love being there." Indra: What's daily life there like? I always picture lots of artists making art all day. Daniel: I mean, there is some of that. It's a sleepy town but it’s also very much a retiree town. But we live right up by the hills, so there's a lot of hiking around in the beautiful mountains and it’s a slow pace of life, for sure. It has been interesting and I'm enjoying it. Indra: I'd love to to talk to you about some of your music and your career and stuff like that but first, I think it would be great to learn a little bit more about the concert you guys are going to be doing. It's part of a national initiative called: "Noise For Now," which I believe is started by your wife. Daniel: Yeah, Amelia started it, she did the first show last year. It started in Santa Fe and now the idea is to expand it to different cities, but the idea was to put on concerts in specific areas of the country where there is really poor access for women's health services and abortion access and to use the concerts as a point to distribute money to local grassroots organizations. We did it first in Santa Fe because it’s also really difficult to get shows there; to get shows to happen at all in Santa Fe is pretty hard. It also happens to be in a location that is a really great spot to distribute from because Santa Fe and Albuquerque have a fair amount of decent health services and abortion access but, we're surrounded by a sea of nothing. So, it’s kind of a good spot to do that kind of work from and it's the network that we have and it's the community I know and the ideal is to get people to contribute in the way that we can. And that's what we can do - put music together and put shows on, so that was the idea. Indra: That's really commendable and great work especially with the impending supreme court confirmation coming up. I think women's health services are on a lot of people's minds. Daniel: Yeah, for sure. It's like one of those things that's so ubiquitous, but it can kind of drift in the background because it's always there in a way. People tend to forget about it, you know? Indra: So, the performance is actually at the Bridge Patio which is outside at the Santa Fe brewing company. Is that where you guys always have the shows? Daniel: No, the first one was at the opera house. This year there is a couple shows, but last year we had Bon Iver and TV On The Radio and more and it was a big show but, we did that at the opera house. As Grizzly Bear, we kind of like playing kind of scrappier more rock concert like settings. We kind of like the idea of the brewery a little more; it’s a little more casual and more fun as a show experience. So yeah, that's why we decided to do that one there. Indra: Also, the band A Hawk And A Hacksaw are going to be joining you, and I read a little bit about them. It features Jeremy Barnes; the drummer for Neutral Milk Hotel. Daniel: Yeah, they're great. They're real New Mexico classics, you know? Like local heroes in a way. Indra: Yeah, the real deal. So, that's gonna be this Friday and we're just up here in Boulder and Denver and it's like a five hour drive, so it's definitely doable for a lot of our listeners. Daniel: If anyone wants to make a last minute road trip, that would be cool. Daniel: Oh, my dormant Twitter account? Indra: Yeah, well you had a couple interviews up there that you reposted from the Line of Best Fit and from the Creative Independent. The Line of Best Fit was a look at nine influential songs for Grizzly Bear and then the other one was just a chat with you and wanted to touch on some of the things you said about your early years as a musician, You grew up playing jazz guitar, or you started playing jazz guitar at a young age and when you went to college you decided not to major in music, instead you majored in linguistics, is that right? Daniel: Yeah, that is what I did. Indra: What was interesting to me was a couple things that you said: one was that you weren't actually that into jazz guitar music, that it was something you were doing a lot, but then also you didn't think that there was really a need for another white kid playing jazz guitar. You are a great guitar player, so I'm sure people were pushing you up and telling you how great you were, and you were taking it really seriously. But then to, in a sense, not pursue it further in college - was that difficult for you? What was that decision like? Daniel: At that age, I didn't know what I was going to do with life yet. When I was a teenager, I really just thought of music as something that I loved and I was a very active enthusiast is kind of how I thought about it. I really loved listening to music and playing it was just an extension of appreciating it. I didn't have any career ambition to be a musician, and I didn't really write music exactly until I was a little bit older than that. My first experiences making music aside from just playing jazz was honestly doing more like cut and paste hip-hop stuff. To me, it didn't really feel like writing. It wasn't writing. I was just taking snippets of things that I appreciated and in a way I felt like that's how I transitioned to making music was just by really loving it. I don't know, it just became a need to pursue it. But, I had to come to it very naturally because I felt like I didn't want to just pursue it without good reason, I guess. I don't know if this was in any of those interviews, but another thing was my family history. My grandfather was in film; he was a director and there's been this long line of people in my family who have pursued theater or writing and kind of failed and screwed their life up. So, there was a little bit of an attitude in my family of like, "just don't pursue the arts. Just don't do it." It was like a trap. So, I had to feel like I had a really good reason to do it. So, for me it was like I ought to go to school and figure my life out and I wanted to study other things. I still kind of do. I wanted to study language, literature, philosophy and art history. I wanted to have a real experience and not just go straight to what I did best. Learning jazz, it was very academic. It was very cerebral and especially after getting out of school, I just wanted to forget all of it and come back to music in a fresh way. It took a couple years of just ignoring it to get there. Indra: Yea, it seems like that decision probably is what propelled you into the music that you make now which is really great. So, another thing that you mentioned [in the interview] - it reminded me of something someone said to me. I was doing some research on a music program at New England Conservatory of Music, and talking with a few students there, and one of them said to me; "I wish I could listen to music in the same way that I did when I was seventeen." That really resonated with me and I picked up on that in the interview with you. Is that you were talking about - the different parts of our brain that we access at different stages in our development and that when you're younger you are more in touch with the emotional side of your brain, and then that changes over time. I was wondering if you could talk a little about that and maybe how it has affected your songwriting. Daniel: I feel like that's something that gets more and more difficult as you get older. In some ways, I think of it like… I don't know if you saw that Michael Pollan book that came out recently about psychedelic drugs. There was a lot in that book about how you establish these ruts of thinking the more you use your brain and the older you get, and I feel like when I was young and when most people are young, different parts of your brain communicate in a more free and naive way without really questioning what's going on. I feel like, especially making music and appreciating whatever you're appreciating when you're young is just a totally different experience in the mind. It's just much more open and there’s more access to everything going on within your brain. I feel like now, it’s hard to conjure that experience. I've struggled with that a lot in the last few years. I feel like I kinda hit a wall a few years ago and writing has become extremely difficult now, and I feel like that's part of the reason is that, it's like the logical questioning parts of your brain really take over in this way, and it’s tough to battle that I guess. Indra: You also said something about how being a writer of music and a listener, those experiences are actually not that different for you. Could say more about that and maybe how that has affected how you write songs? Daniel: I feel like the best music is written like that, where it's almost like you're taking the ego entirely out of what you're doing, I guess; when you just sort of you hear what anyone else is doing and you hear what you are doing outside of yourself if you can, I guess. I don't know, just wanting to hear what you want to hear and not thinking about it as "this is what I'm doing, and this is my music” and taking the authorship part out of it as much as possible. Like I was saying earlier, I feel like my experience of being a musician just grew from really loving music and I always thought of myself first as someone who just loved it. It's a part of my life that I really valued, and making it was really just an extension of just like trying to create something that I wanted to hear. So, I guess that’s why I said I think of it that way. I don't know, that can be a real trap I think especially, if you have some success - it starts to mess with your ego and then you can start thinking that any thing you're doing is good just because you're doing it, and that's not the point. That's not why you should make anything. I think that can be a trap for a lot of people. Indra: That makes sense. It was really cool to see those songs that were influential for you guys [in the Line of Best Fit interview]. You guys have such a unique sound. I've always wondered, where does this come from? Where have they come up with these ideas, and it was really shocking to me to see that you guys are interested in Brazilian music. Daniel: Yeah, the more you explore those classic records, I still keep finding more of those that feel like records we would've wanted to make and I haven't even heard them yet, that still happens to me with that classic period of best Brazilian music. Indra: Are there different styles within the Brazilian tradition that you guys gravitate towards more than others? Daniel: I think it's just such a perfect combination of really emotional songwriting. But there's so much depth in the feel of the music, and there's so much harmonic complexity. It just seems to take everything I love about music and combines them into one place. But yeah, I mean, those classic records from the late 60’s and 70's are still to me, like, sometimes I feel like I hear those records and I should just stop trying because it's so much better than anything I'll ever do. Indra: How did you first find that music? It's not normal for most people to stumble upon 60's Brazilian music. Daniel: Well, I think there was a compilation that came out right when I was in the middle of college that was floating around, and I think that interested a lot of people, at least my generation, like right around 2001 or 2002, I think it was. But that was where I first really heard all that, and then from there, there's just so much of it once you break it open. Indra: Great, well i'll let you go because I'm sure you have a busy day ahead of you, but I just wanted to say thank you again for talking with me and people should look forward to the show that you and Grizzly Bear will be doing. Daniel: Yeah, I hope people will come out, I will say this; this round of shows is probably the last shows we're going to do for a very long time, so if anybody has a remote interest in seeing us, this is the time because it might be… I don’t know how long. Could be many years. Indra: Okay, so September 14th - that's this Friday at the Bridge Patio, and actually before I let you go, I did want to ask about your future projects for not just Grizzly Bear, but your work with Department of Eagles and also just your solo work. Do you have anything planned? Daniel: Well, I'm trying. I would like to finish my own record, that's definitely a plan. It’s been hard, but that’s definitely my next goal. Other than that, it’s hard to say. We'll see what comes next. Indra: I actually have one more question. So, Grizzly Bear has put out a lot of records at this point, Painted Ruins was the most recent one last year which is just a fantastic record. What do you plan for your live shows now, considering you have such a large catalogue of music to draw from? Daniel: We really try to touch on everything. I mean, recently we've been enjoying playing some of the older tunes so, we really try to make sure its a real mix. We don't want to make it all about the new record. For the reason these shows might be the last shows for a while, we've definitely been including as many classic ones that we enjoy playing. It's a real mix; it's the whole catalogue when we do shows. Indra: Great, well thank you so much for speaking with me today Daniel, it's been a real pleasure to talk with you. Daniel: Thank you so much, you have a great, pleasantly nerdy interview and I like that. Learn more about Grizzly Bear at grizzly-bear.net. Learn more about Noise for Now at noisefornow.org.